This is by far the longest exposure I ever done, as you can see in the info below, the exposure was 428 seconds – that’s 7 minutes and 8 seconds – I used both of my ND filters, the lowest ISO you can on a Nikon D800 (50) and the highest f-stop (f22) to get this long exposure. 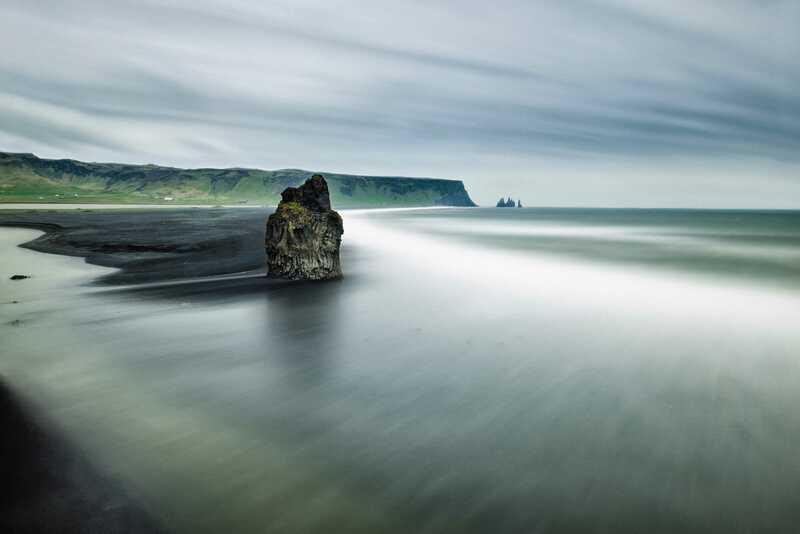 The photo was made on the south side of Iceland, you can see the famous Reynisdrangar cliffs in the distance. A Very Long Engagement by Bo47 is licensed under a Creative Commons Attribution-NonCommercial-NoDerivatives 4.0 International License.